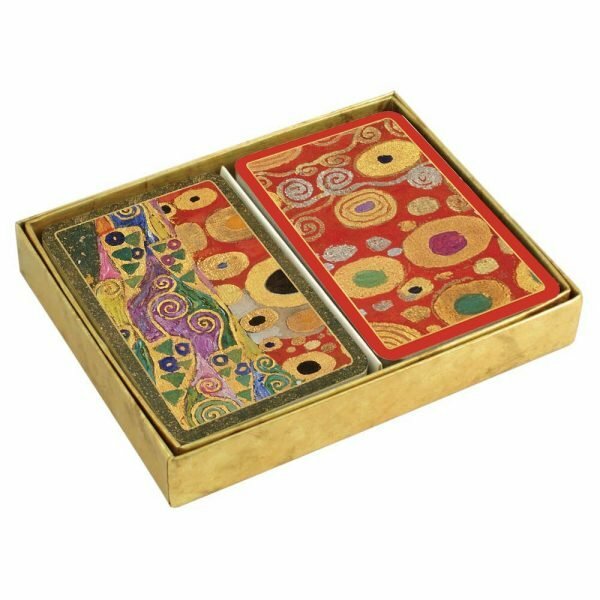 New of this season, Caspari Viennese Nouveau features the work of Gustav Klimt, an Austrian symbolist painter, well known for his creation of elaborate pattern and use of gold leaf. This pattern, a detail of his painting Hope, II, highlights the intricacy of his ornate decorations. Caspari are committed to producing our products with the use of environmentally responsible raw materials and processes.